What is the percentage between work and talent? How do you prepare to record in a studio or to play at a concert? How is an injury overcome? Practical tips for the guitar to beginners. Solve your problems or difficulties on the guitar? In this post today I present an interview with a guitarist. Interpreter and guitar teacher with whom I had the opportunity to speak. Here we talk about some tips for guitar to be a better guitarist, his career and his new CD Rock Road. When you speak you have to keep the listener’s attention with nuances. The same thing happens with music. Toni, you have a long career and a broad curriculum. You have studied here in Valencia, in Barcelona, in Germany, and in Cáceres. 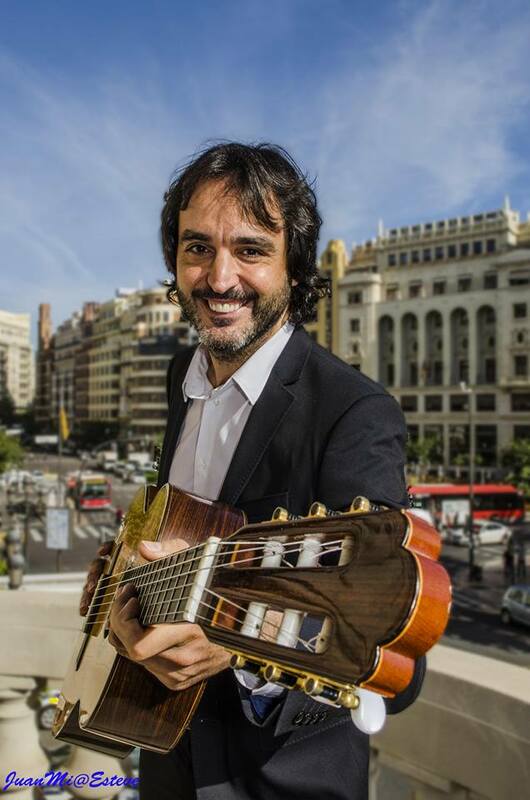 You have received different prizes, among which the End of Middle-Grade Award, End of Career Honor Award, and the 2002 Euterpe Music Award of the Valencian Community. Yes, that’s right, that’s my classic curriculum but I started playing Heavy Metal and rock. I started with 9 years playing the clarinet in a band and at 16 I started with the electric with the scores of Metallica and other bands. Have supported Extremoduro, Barón Rojo, Platero, and Tú, Polla Records. Recorded rock albums. But all this in the stage from 18 to 22 years. At 18 I entered the conservatory because I wanted to learn more. Little by little I got into the classic that is all that curriculum that you comment. There must be talent but I work mostly. I kept a diary for many years in which I wrote down every day what I studied, the hours I played and the work I did. I was also playing 9 to 9 every day for many years, and for a year I stopped playing a maximum of one day. This has been done by other great teachers like Ricardo Gallén when he was a child. When you are a child, you have the capacity to absorb many things. Of greater, there are some limitations like that the fingers do not have the same flexibility. That is why I have noticed things that have cost me and continue to cost me. For example, the picadors, although they are already coming out. 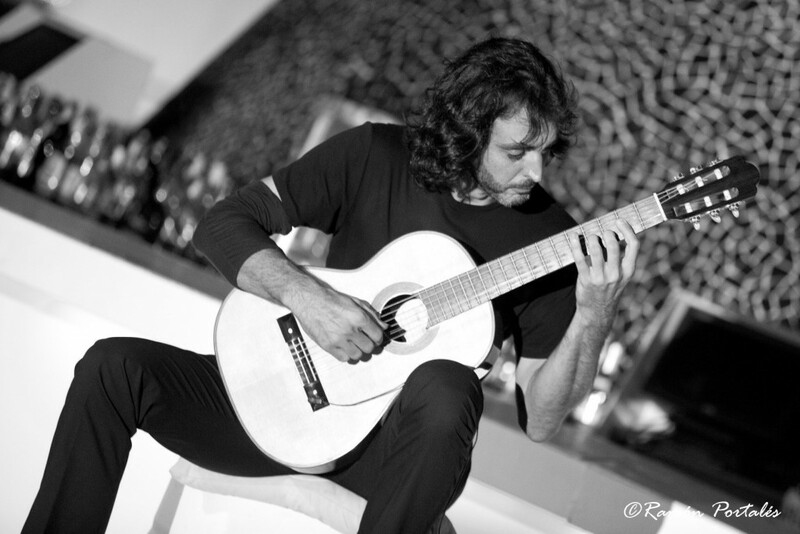 The concert of Aranjuez, that I will play in November. For example, has a devilish scale, a great speed, a combination of arpeggios with scales in a very fast way. Musically it is not complex, but technically tips for guitar is demanding. I have interviewed David Russell, Manuel Barrueco, John Williams and I have talked with other great teachers and they all agree on the same thing. Each stage in life is different. If you are older and live this, you cannot be studying all day. In short, I studied and worked a lot because that’s what I liked. In some moments you have to press to advance in something that does not come out but not with the intensity of when you were young. You have recently released a CD called “Rock Road” with versions of mythical themes such as Bohemian Rhapsody, The Trooper or November Rain in addition to current issues. 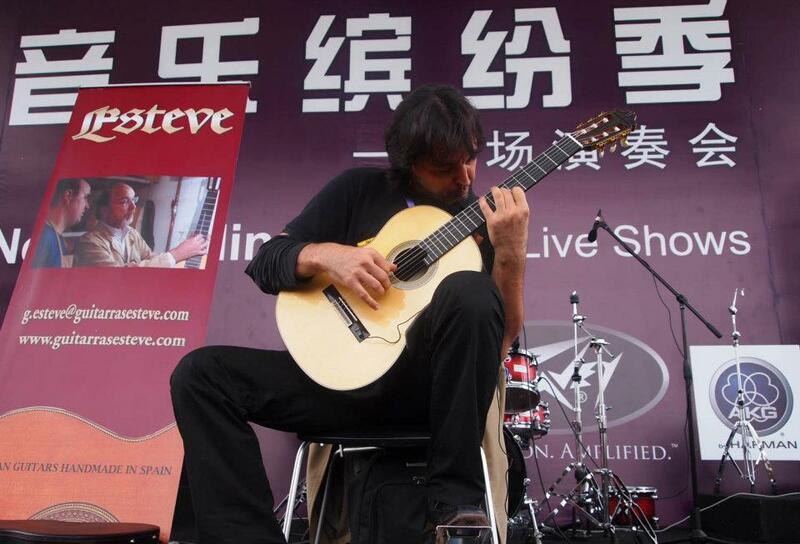 What do you think has been the hardest subject to adapt to the solo guitar? I usually make arrangements for my current song students. And they have always told me why I did not record something from Rock … So one day I got involved and started. And the result is this work. Rock Road is a mix between songs of my time and songs now. Regarding the most difficult topic, Bohemian Rhapsody is a pass, then the solo of The Trooper, in particular, is also complicated. To make the arrangements I have based on many sources. In Germany, for example, I met Thomas Zwijsen, who has several albums with Iron Maiden songs, and I played with him. Precisely that of The Trooper, that we played both improvisings. This song changed its tone for sound issues. If you play it for example in the original tone the guitar loses harmonics when you put a very high capo. 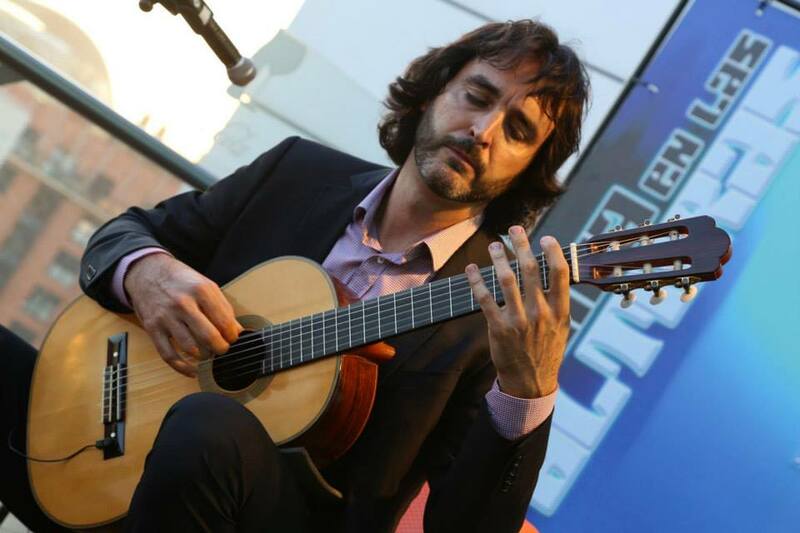 I have studied the songs with the original version to capture the essence and the nuances, but if the classical guitar is better, another tone changed it to the tone I wanted and played it over. Then I left the Trooper in A minor instead of E minor and I respected the original version to the fullest. There are other guitarists who introduce modifications to the covers as harmonies of 7th or 9th, which are very nice, but they change the song completely. I have searched and watched what other musicians do to not start from scratch and then I have worked on the original songs. Because otherwise, the work would be immense! It’s as if you had to rediscover Newton’s law … humanity would not advance. In the university, they teach you all the physical laws, all the advances that there are and then on that, you start to work. I have recorded the last albums little by little. With this album, I have been a year and a half. I’m choosing songs, I’m looking for piano arrangements, scores for orchestra, for guitar, etc. And once I have it, I try it in concert to see if it works well. When all that is already there, I go to the studio and record the songs I have prepared at that moment. When I have already recorded them I will go for the next one. Regarding the preparation of a concert, now it is very different from when I was a student. Now I have a repertoire that I have been playing for years, that I am changing little by little. I can arrive at a place and without heating, I can give a concert, because I already have it very well shot, memorized, I know the notes I play, the harmony and if something goes away I can “improvise”. But many years ago I had my stress problem on the stage that I had to solve by reading books, going to the psychologist, I had to solve the issue of injuries. In the end, of the bad things you learn and when you overcome them you are a better musician and a better person. At the beginning generally, I had guitar finger pain. Btw I have had two serious injuries. Then I have had some specific problems that have not stopped me from touching. Most musicians have pathologies related to the repetition of movements. The problem is that if you are a footballer you have a physiotherapist. And doctors who treat you and prevent you and even if you are Cristiano Ronaldo, nothing happens if you get injured. But if you’re a musician and you’re injured. It’s like you have to hide or shut up as if you were a bad musician for having injured yourself. When I got injured I did not know what to do because there are not many specialized sites. The family doctor does not know what to do with you, he gives you pills that do not do anything to you. If you go to a traumatologist, I may give you a solution that is not the right one either. That is, there are no tools in conventional healthcare. That’s why you have to look for people who understand. Normally they are people who work with athletes because we are really elite athletes. You can take it by tips for guitar finger pain. I was lucky to get out of the injury. Thanks to my sister who was finishing the physiotherapy course. A friend of his who worked with soccer players from Valencia. My brother-in-law is also a physiotherapist and has studied music and they have all been working with me. In the end, all these experiences make you learn to look for some mechanisms and treatments to prevent injuries. As a result of that, we have done some courses to try to help the musicians. No (laughs) On the contrary, I am so motivated that sometimes I do not know where to start. I have a list of so many things that I want to touch that in the end I am saturated. Those are not tips for guitar. I love music and on the guitar. We are lucky to be able to play a lot of different styles. Like guitar playing tips for beginners. What things could a person who starts playing the guitar to get the most out of the instrument? For me the most part has been, for many years, getting up at 4:30 in the morning to go by train to Barcelona to study guitar. At 5 or 6 in the afternoon, I was back in Valencia. This for almost five years. Then I went to live in Germany and on returning I kept doing the same for a year and a half with Ricardo Gallén in Barcelona and then in Cáceres, where he did a master’s degree. I was three years going, I made 200,000 km. Not tips for guitar is everything. I personally went to look for the good ones because I wanted to learn. That’s why you have to look for people with a lot of experience and who play very well . I personally went to look for the good ones because I wanted to learn. That is why we have to look for people with a lot of experience and who play very well. Because the work you do, be ten hours or half an hour will be greater because that person will give you the tricks and the keys to go faster. But you’re stumbling. So, first advice: look for a good teacher. Then when you play the guitar, be focused. Besides that, be motivated and play the style you like because it does not make sense to do three classical courses but really want to play jazz or rock. You will play what you like and what makes you happy. A good job, a good teacher and the style that you like. That works. Each student is a world, there are students who have a facility for some things. I would not know how to generalize. Some students do not get the rhythm right, there are others who have problems with reading, others with memory. Each person is different. That’s the good thing about personalized classes. You have been a contributor to the famous Total Guitar magazine for 7 years. How do you think we can measure our progress by being self-taught? What recommendations would you give to someone who has little time to play? The progress is noticeable when you stop playing something suddenly and after a while, you play it again and it already comes out without practicing it. My approach was to study a repertoire, or some technical problems that I had to work on, scales, arpeggios, etc., and I changed them so as not to get bored. I was aiming everything to know what I was doing. When the repertoire already you know it is when you have already seen that you have advanced. I have students who practice very little and what costs a month to others costs a year. Playing the guitar at the end is like riding a bicycle, you do not think: I pedal with one leg and then with the other. Why do footballers practice throwing the goal over the barrier three hundred times each day? Because when you are learning a movement, you need a minimum number of repetitions and the more complex the movement, the more time it takes. But quality repetitions, to copy the movement and record it in your cerebellum, which is where you record the movements of your body’s muscles. If you practice very little and badly, you learn those movements with vices that we will then have to re-record or learn in order to improve and advance in a non-functional way. We are not like a computer that we can delete one file and make another. What you have to do is re-record the movement and re-record it costs even more because you have to repeat again more times with better quality the new movement that erases the previous one and that is the problem. If at the end to do something you need 10 hours. Because those ten hours do it in five days or in a month, it depends. One day you do very few repetitions the next day parts of zero. A day you do more, with quality and well done, the next day you have something. If we had a guitar I would show you (laughs). There are different types of problems. For me, one of the most difficult is that of speed. I’m gonna put an example. Let’s say you want to make notes to eighth notes and they all sound the same, and the result is not as expected … This is because your mind wants to get a certain sound with some movements but those movements do not go well synchronized. What you have to do is learn to change the weights and inertias in another way so that it works. The problem that we guitarists have is that we put a position, put strength and we hope it sounds. No, you have to give impulses to the fingers. And when something does not come out you have to play with the music. Changing the rhythm of the passages, touching them under the sway, changing all the accents, everything you can think of. I first sang it to mentally know how I want it to sound, not that the fingers do what they want. That is, we change a passage, we play it in all possible ways to control your musculature and then we play it back to normal and all the notes will be in place. Then you practice it and in five or ten minutes you get something that did not come out before. To play an instrument is to control very subtle movements to produce a sound result and those subtle movements are what you have to learn to do. Also, of course, being clear about the concept of music and joints. For example, when you’re talking, you have to take a few pauses. Some nuances to keep the listener’s attention or to understand what you’re saying. The music is the same. This is then transferred to the hands to facilitate execution and to sound fluid. These ideas are important in concrete problems. But you have to understand music. For example, support is stronger than the resolution. The first note in the linked is stronger and the second a little weaker and shorter. That’s what piano methods say. Why are not the guitar ones? There are musical things that most musicians know and guitarists sometimes do not know. In short, you have to know how the music sounds and then apply it. Tips for guitar is not the solution, practice is the way to improve. As you see in this interview we have seen some tips to be a better guitarist. If you have read it all, it is a good idea to apply some. 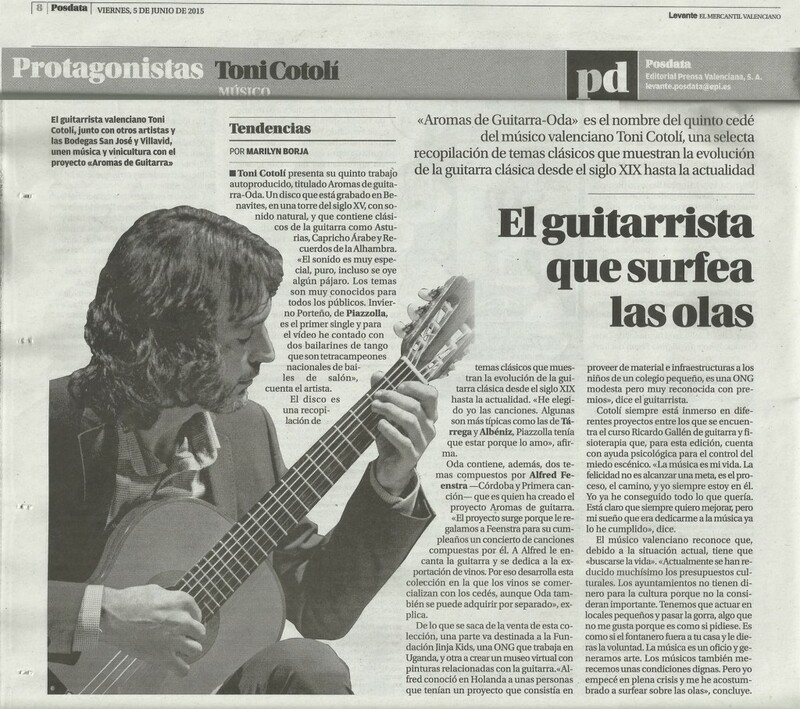 If you want to know more about Toni Cotolí you can visit his Youtube channel and his website.